People have been using botanical remedies since before recorded time. The stems of plants found to be useful herbal medicines. In fact, many of our conventional drugs have their origins in plants. Aspirin came from willow bark, foxglove gave us digoxin, and quinine was derived from cinchona bark. Pertiole – Is a leaf stalk or leaflet. It supports a leaf. 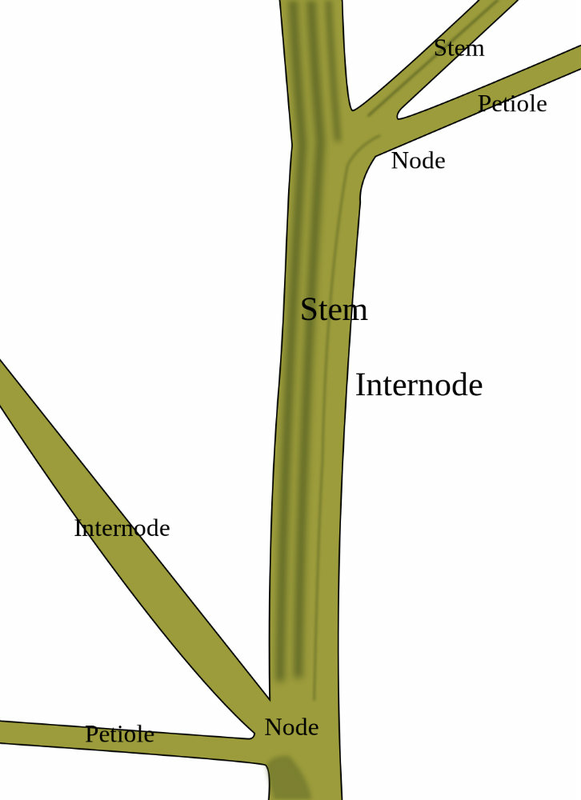 Node – Where the leaves and buds attach. would recognize this as the rings in a stem. Phloem – These cells transport sugars and amino acids through the stem. Xylem – These cells transport water through the stem. 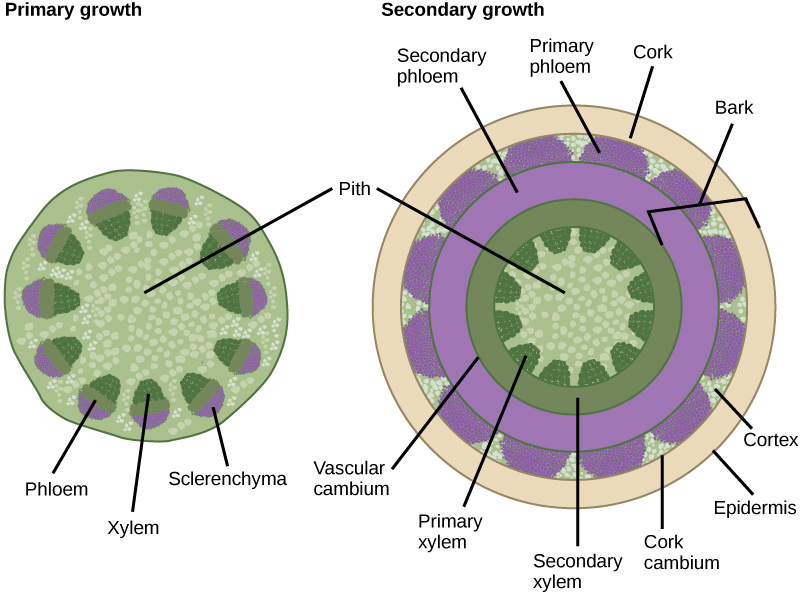 Sclerenchyma - These cells cap the vascular bundles that hold the Xylem and Phloem. They give support to the plant. Pith – A spongey tissue in the center of the stem. It is the interior vascular tissue of the stem. Bark – The bark is the outer layers of the woody stem. It protects the stem from damage and dehydration. It consists of the cork, cork cambium and the primary and secondary phloem. Cork – Is a waxy protective layer. It is the bark we see on the outside of the stem. interior cells can exchange gases. Cortex – A layer of tissue between the vascular tissue and epidermis. Epidermis – Is a layer of cells that all of the bark separating it from the environment. https://en.wikipedia.org/wiki/Glossary_of_plant_morphology, http://philschatz.com/biology-book/resources/Figure_30_02_07.jpg , http://www.ncbi.nlm.nih.gov/pmc/articles/PMC1071505/ Images where found with a search for images with a “free to reuse” license on 3-30-16.